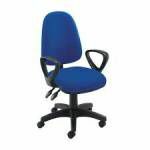 OFFICE CHAIR W/PNEUMATIC LIFT09768DIMENSION: 26" x 29" x 45"HFEATURE: Black..
OFFICE CHAIR W/PNEUMATIC LIFT09769DIMENSION: 25" x 29" x 44"HFEATURE: Brown.. Item Number : 12170Feature : OFFICE ARM CHAIR W/PUDimensions :&nb..
2PC PK DESK , CHAIR 92209Item Number : 92209Feature : 2PC PK DESK..
Model Number: 415BDimensions:Width: 25.5 x Depth: 26 x &n..
ROCKING CHAIR59211DIMENSION: 28" x 33" x 44"HFEATURE: Black FinishPackage: ..
ROCKING CHAIR59212DIMENSION: 24"x33"x45"HFEATURE: Cappuccino finishPackage:.. YOUTH ROCKING CHAIR59215DIMENSION: 21"x16"x28"HFEATURE: Tobacco finishPacka..
YOUYH ROCKING CHAIR59218DIMENSION: 24"x18"x30"HFEATURE: Tobacco finishPacka..
ROCKING CHAIR59224DIMENSION: 25"x32"x43"HFEATURE: White finishPackage: PKG:..
Model Number: 600186Dimensions:Width: 33 x Depth: 24.5 x ..
Model Number: 600228Dimensions:Width: 31 x Depth: 28.5 x .. Fabric ColorBEIGEWood FinishLIGHT BROWNDescription	Width	Depth	Height	Seat .. Fabric ColorGREYWood FinishWHITEDescription	Width	Depth	Height	Seat Depth	S..
Model Number: 800165Dimensions:Width: 29 x Depth: 26 x &n.. Fabric Color BLACKFinish Color CHROMEDescription	&n.. Fabric Color BLACKFinish Color CHAMPAGNEDescription	.. Fabric Color BLACKFinish Color MATTE BLACKDescription	&nb.. Fabric Color BROWNFinish Color SILVERMetal Finish CHROMEDescription	&.. Fabric Color BROWN/GREYFinish Color SILVERMetal Finish CHROMEDescription	&n..
Part of the 80128 Collection by Scott LivingModel Number: 801289D..
Model Number: 801318Dimensions:Width: 25.25 x Depth: 27.5 ..
Part of the 80132 Collection by Scott LivingModel Number: 801327D..
Part of the 80132 Collection by Scott LivingModel Number: 801328D..
Model Number: 801363Dimensions:Width: 20 x Depth: 24 x &n.. Fabric Color GREYMetal Finish ALUMINUMDescription	&.. Fabric Color BEIGEMetal Finish CHROMEDescription	&n.. Fabric Color BLACK/BLUEFinish Color BLACKCleanability Code SDescription	&nb..
Model Number: 801470Dimensions:Width: 26.25 x Depth: 27.5 ..
Part of the 801528 Collection by Scott LivingModel Number: 801528.. Fabric Color BLACKMetal Finish CHROMEDescription	&..
Model Number: 802289Dimensions:Width: 24.25 x Depth: 25 x.. Fabric Color CHARCOALMetal Finish CHROMEDescription	..
Model Number: 881048Dimensions:Width: 24.5 x Depth: 24.5 ..
Model Number: 881065Dimensions:Width: 27.5 x Depth: 28.5 .. ACCENT CHAIR 96095Item Number : 96095Feature : ACCENT CHAIRDimens.. ACCENT CHAIR 96096Item Number : 96096Feature : ACCENT CHAIRDimens.. ACCENT CHAIR 96097Item Number : 96097Feature : ACCENT CHAIRDimens.. ACCENT CHAIR 96098Item Number : 96098Feature : ACCENT CHAIRDimens..
Adjustable Upholstered Office Chair Grey And Archaize 802608Crafted for qua..
Adjustable Upholstered Tufted Office Chair Grey And Archaize 803629Updated ..
Enliven your work space with this stunning office chair. The button tufted ..
With stylish ridges adorning the back and seat for a visually appealing lo..
With stylish ridges adorning the back and seat for a visually appealing loo.. Create a sophisticated workspace with this industrial style glass top desk..